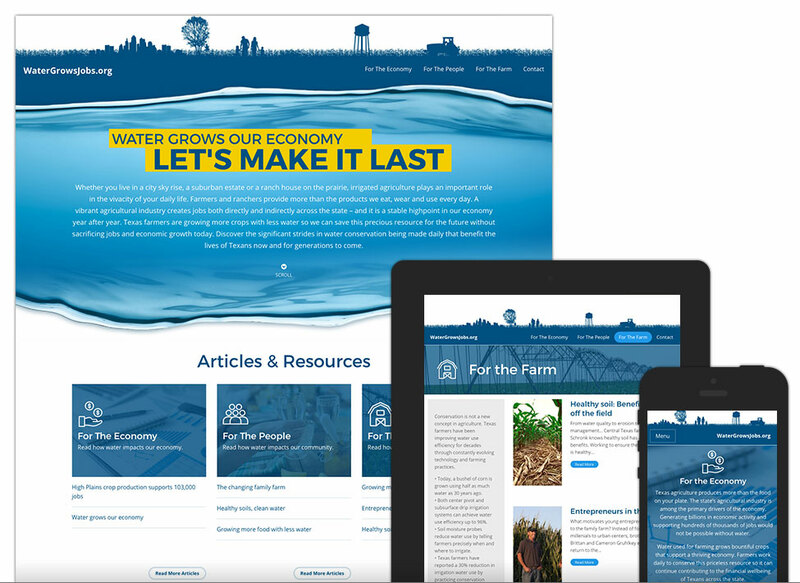 Water Grows Jobs is an organization that educates about the area’s water supply, specifically the Ogallala Aquifer. They needed a website that would allow for information to continuously be built upon as well as have it categorized into topics. Blogs are great for this kind of project. But the problem with most blogs is that they look like blogs. We custom build all of our clients websites. This makes it possible to design a website that is purposeful, intuitive and most importantly serves the content. Need a blog that doesn’t look like a blog…we’re your Lubbock Web Design Team!